Even if summer doesn't technically start until June 21st the moment I got home and felt temperatures in the nineties and humidity nearing a hundred I automatically classified that as summer. The great thing about going to school in South Carolina is that I actually get a taste of all four seasons where as in south Alabama it's either scorching hot or comfortably cold (I say both generously). The only bummer of coming home for summer is that I want to enjoy the beautiful scenery and area where I live by means of running but if I don't do so before 8:30 then I feel like I may sweat to death. I especially get excited to run all of my favorite routes from high school but I don't exactly want to sacrifice sleep to avoid the heat. I have found that having (and wearing) the right workout clothes for a run or workout outside helps to give me a bit of a grace period until 10:30 and after 4:30 allowing me to run outside without facing a heat stroke. Light and airy material is my best friend as is anything that will make sure any sweat isn't too noticeable. Dark shorts may as well be your saving grace and the flowier the better with shorts and tanks. While tight running tops are more supportive I am a bigger fan of having tops that won't stick to my body making the heat feel even stickier. 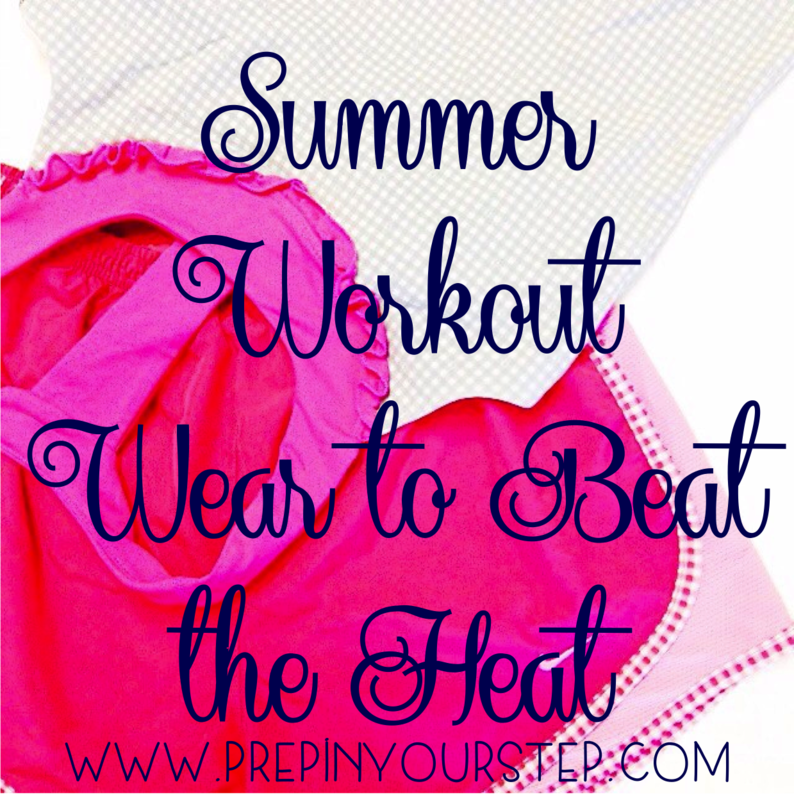 So that we can all avoid any problems with working out outside during the summer months I have searched around for some great workout clothing options to beat the heat. Better yet, a lot of these won't break the bank too! And since it's summer be sure to add in plenty of bright colors! Don't forget the water bottle either, the most important accessory to avoid dehydration. Shop my favorites from the image and photos below and let me know where you like to get your athletic clothes so I have more options the next time I need clothes to continue to motivate me to stay in shape! This is a manufacturer which not just protects high quality, but additionally protects the cost hublot replica sale. It's fascinating to notice how the manufacturer additionally comes with a huge selection to be able to select. Apart from, you could have probably none, however various wrist watches which are manufactured for each and every event. Whenever you prefer to purchase a top quality inexpensive view, it will be will be the Polo view. You are able to arranged the spending budget as well as venture out to locate the hublot replica sale which you need as well as Polo wrist watches will certainly possess 1 for you personally. And also you just would like to spend inexpensive cost, you are able to be handed a superbly created fake rolex sale. A few look-alike hublot view tend to be gold-plated even though other people are created from Titanium. Each and every style is actually assured as well as is designed for numerous replica watches uk. Consequently, regardless if or even not really you will get a good hublot replica uk look at or even not really, you'll personal an excellent notice take a look at. Hi, we have a lot arrangemant of unblocked games. We add only the best unblocked games, so our gain is quality not quaintity. Visit us and enjoy playing unblocked games at school or at work! Every once in a while, one is bound to get bored in a meeting or in a lesson that is mandatory yet one has no interest in. In such cases, too many people get extremely bored as they have nothing to do for the entire duration of the meeting or the class yet they are on lock down. Unblocked games offer a perfect solution in such a case. Institutions, such as schools, businesses and companies, normally lock out most of the game sites from their network to prevent their work force or students from getting distracted during working hours or class time. Kizi Games that are unblocked, however, are accessible from anywhere and this contributes greatly to their popularity. As long as one has a stable internet connection and a device such as a tablet, smart phone or laptop, one can easily access the game. Many unblocked games that can be accessed online are usually very engaging. This contributes to their popularity as one is able to temporarily elude boring reality when playing. The engaging nature of different games serves to make such games popular in general but at the same time, games that are more engaging are normally more popular. Games are fun. That is why people like playing them. In recent times, the number of gamers has been on the increase especially with the sharp growth in the number of smart devices in use. Unblocked solitaire games pack in lots of fun, which contribute to their allure to many people especially during boring moments. The number of unblocked kizi games that can be accessed anywhere with ease is simply mind numbing. There are all sorts of games from classics to mission games. Games are added on sites daily and therefore, one is basically spoilt for choice when looking for a game of interest to play. This has made games all the more popular as it becomes possible for all types of people, adults and children alike to find something that they actually enjoy. Some games that are unblocked, depending on the nature of the game encourage the interaction of gamers through the gaming platform. This further increases the appeal of unblocked online games. It also increases the challenges that one can encounter in the game as a game basically involves a challenge that one has to overcome to score points or go to the next level. The fact that unlocked games are a way round restrictions also increases their popularity and appeal.